Robots, Artificial Intelligence, and Virtual Personal Assistants are no longer part of the future. Each is a part of the reality we are living today and will become increasingly the new citizens of this world. In October 2017, Sophia the robot became the first robot to receive citizenship of any country (Saudi Arabia). 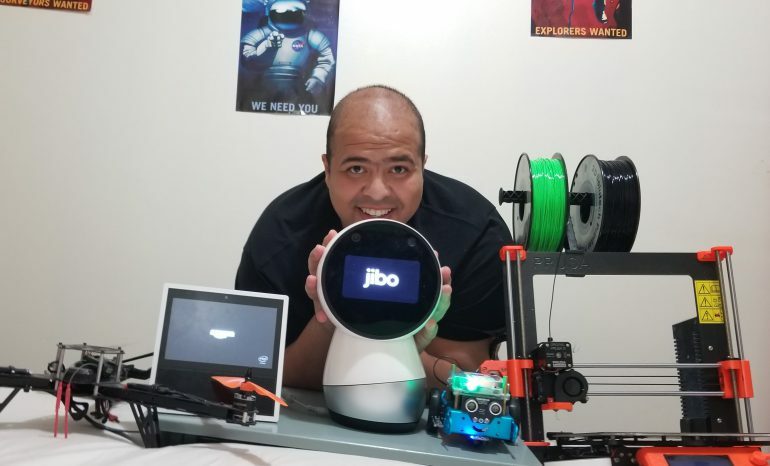 The hopes for a social robot are not far from reality; we have so far Jibo, Kuri, and Temi. The list actually is more than these three robots. Whether it is in the factory, on the road, at home and, well, almost everywhere, the robot revolution is moving at a very fast pace with no sign that it will slow down. When Amazon unveiled Alexa, the voice assistant system, three and a half years ago, everyone thought it would be just a temporary trend of the season. Now, against all expectations, Alexa has four more siblings all running under the Echo name and dozens of other third-party products that run on the same platform. This tiny device from Amazon has made it all the way to 10% of U.S. households. Google Home comes next, which is in 4% of homes. This phenomenal number suggests something – how we are obsessed with all technological gadgets. As Alexa and its siblings are sitting there learning about our habits and improving their algorithms technology, online orders made through these voice assistant devices are projected to jump from $2 billion to $40 billion by 2022. The corporate world and the hospitality industry are no exception. Chatbots are becoming the new customer service agents of the 21st century, with a very advanced AI capability that allows the system to conduct conversations almost like humans. Currently, chatbots allow a hotel or travel company to provide 24/7 support through online chat or instant messaging services. In the healthcare sector, according to Manoj Saxena, former Chief Business of IBM Watson System, 90% of the nurses in the hospitals who use that system now follow its guidance for utilization management decisions. Down the road, self-driving car companies are also in a race to launch the next taxi robot; there are already thousands of them around the country for road testing. The new age factory is totally different than it used to be. It is called Industry 4.0, where robots are making robots. Countries like Japan, China, and Germany have invested billions of dollars in developing robots that are smart enough to collaborate with humans, even low skilled workers. Robots are not just going to conquer earth, space also has been an arena for smart machines. NASA historically has an edge when it comes to robotics. Ironically, the first citizens of Mars were robots, space rovers Curiosity and Opportunity were the first to land on Mars. In its quest to conquer Mars, NASA is planning to send drone robots to help survey the red planet by 2020. Pearson Students: In what areas of your world have you observed AI and/or robots at work? What are your thoughts on this? Does it sound like something from a Sci-Fi show or the new reality of our generation? Share your thoughts by commenting below! 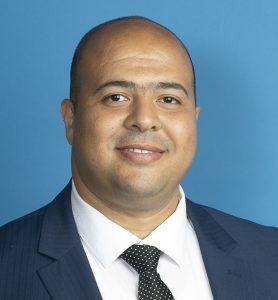 Abderahim Salhi is a Computer Science major at Hudson County Community College in Jersey City, New Jersey. He is a 2018 recipient of The Pearson Higher Education Scholarship. He is a scholar of the Research and Development Council of New Jersey and a fellow at America Needs You. He is currently the chapter president for both Phi Theta Kappa International Honor Society and Epsilon Omicron Chapter of Sigma Kappa Delta, and the Vice President of both the STEM and the Model United Nations Clubs. Since becoming a student at HCCC last Fall, he helped create a magazine for the STEM club called “The Stem Voice”. Abderahim is an avid traveler, photographer and a Scuba Diver. Some of his photographs taken in different places around the world were published in the Crossroad Magazine at his school. Abderahim long term goal is to continue his graduate studies in the field of robotics and artificial intelligence, and to earn a PhD. Abderahim is a contributor to the Pearson Students Blog. If you are a college student and interested in writing for us – click here to pitch your idea and get started!